Inventory Lot Register allows user to view all the different status of incoming and internal inventory lots in warehouse(s). In the “Inventory Lot” tab user is able to view the inventory lot details and print a copy of the report. The source document is also displayed for recollecting the origination of the transaction. 5. Enter search parameter to filter the result, i.e. 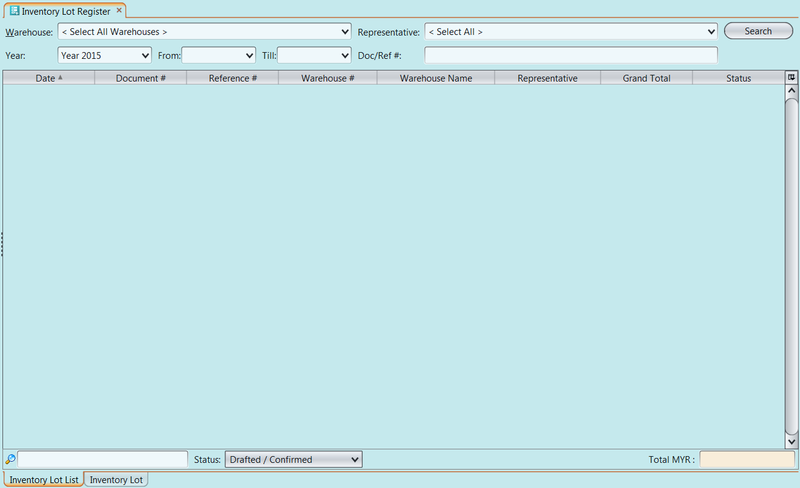 type in the warehouse number in the search textfield box at the bottom of the screen. 3. 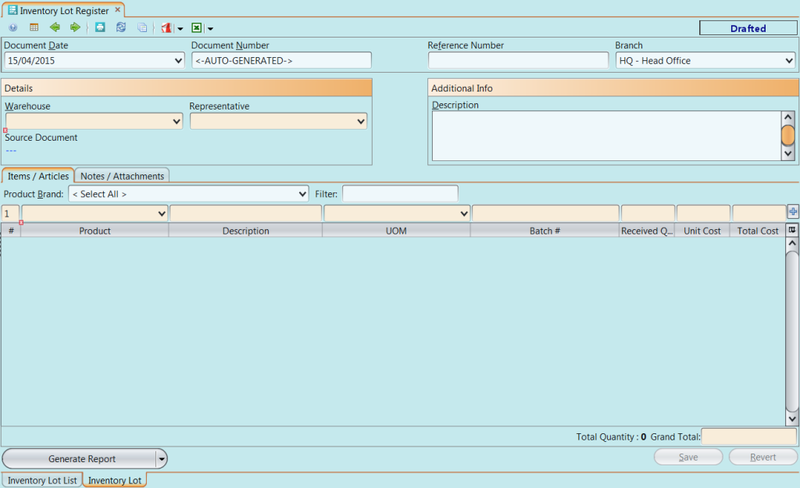 Click on “Generate Report” button at bottom of screen, a window will come up showing print report options.